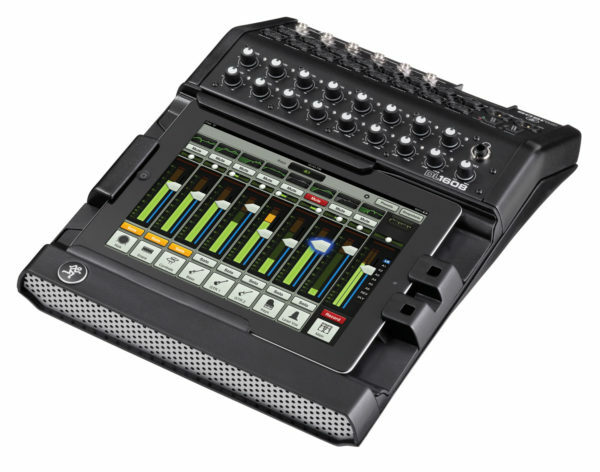 1 x Mackie DL1608 digital mixer – features include – 16 input channels, 6 aux sends. Comps, gates, 4 band eq on every channel. 31 band graphic on every output. Reverb and Delay FX engines. Mixer is in a road case with a wireless router.